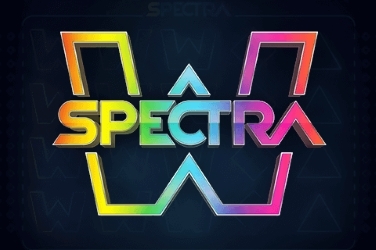 Although deep shades of purple and blacks have been used in the games design they enhance the bright colors of the symbols which are found upon its reels. But despite the fact that there is no real story line to the games format it is sure to prove appealing to numerous players of all levels. 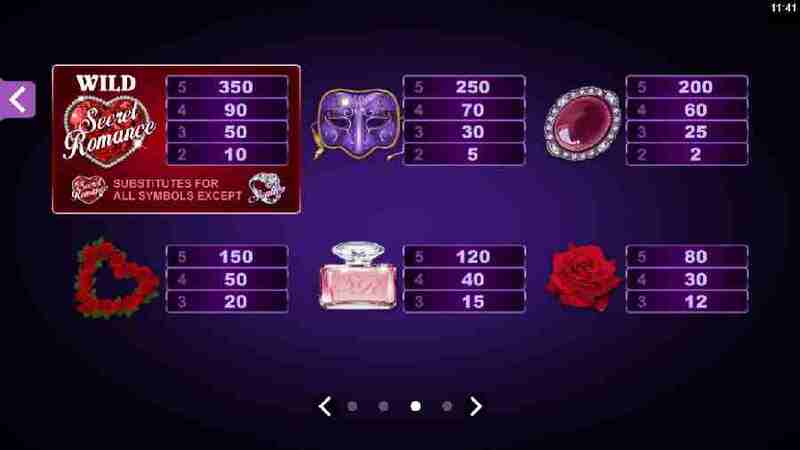 As found with numerous slots games players will find the card symbols 10 through to Ace. They are depicted in a bright shimmering gold and can provide players with the games lowest pay outs when included in a winning combination. Other Romantically themed symbols which are shown across the reels include a Perfume Bottle, a Red Rose, a Heart Shape made from Roses, and a Masquerade Mask. Wild – the games Logo set upon a Red Heart is the Wild symbol in the game. Should it appear during play it is able to change any other besides the Scatter symbol. So this will provide players more opportunities to add to their initial wagered amount. 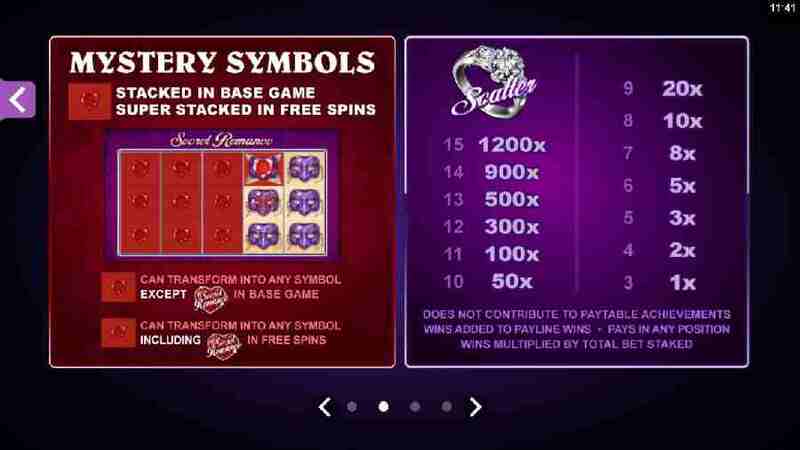 Scatter – a Silver Diamond Ring “Free Spins” symbol will provide players with a Bonus Round if 3 or more are located during the game. Mystery Symbols – depicted as a Red Envelope these symbols can fall upon the screen randomly throughout this online slots game. Should the player locate them the Envelope will open to reveal a cash prize which is then added to the final jackpot balance. During the base game the Mystery Symbols are unable to uncover a Wild to help create more winning combinations. However this can occur when the Free Spins are in play so there are various chances for players to increase on their original stake. 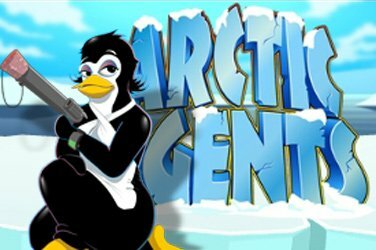 Free Spins – this Bonus Round will be activated if 3 or more Silver Diamond Ring Scatters appear on the games reels. 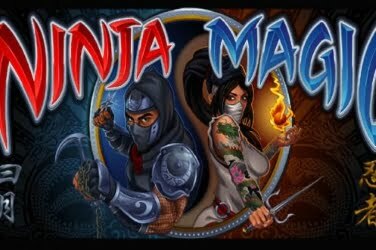 When this occurs players can take advantage of 14x Free Spins and any winnings will receive a 2x Multiplier. At this point in the game Mystery Symbols will become stacked on the reels and may even turn into Wilds if the player is lucky enough. 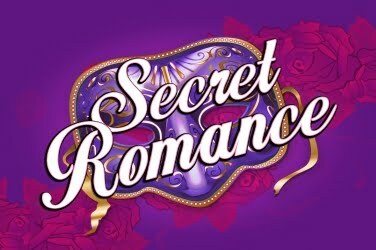 All of these factors could mean some serious wins when enjoying the Secret Romance slot game. The coin denomination has been set at a low rate in this online slots, however all 15 of the winning paylines do need to be in play before the game can begin. Still players can place as little as 0.15 or as much as 15.00 with each spin of the 5 reels. And of course the more that is originally staked will result in a higher pay out amount for the player to claim. The Microgaming designers have provided players with a Logo Wild and a Silver diamond ring Scatter symbol. 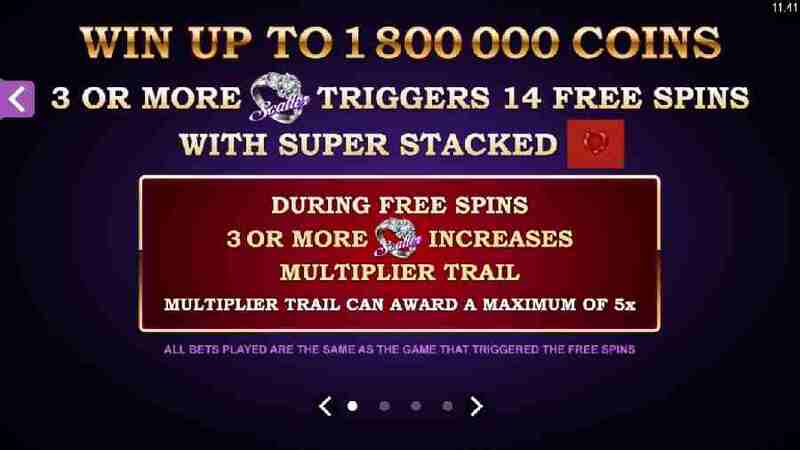 This can in turn then result in 14x Free Spins and a 2x Multiplier if the Bonus Round is activated. These factors along with the Mystery Symbols which can appear at any time means that there are further chances for players to locate winning combinations. 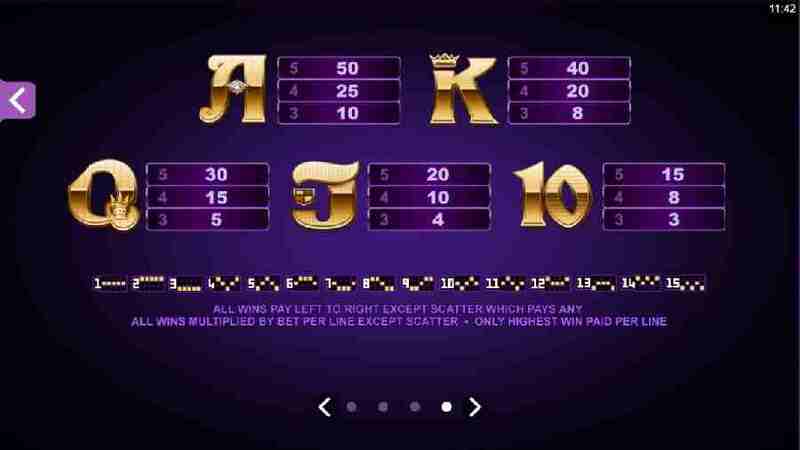 Unfortunately there is no Progressive Jackpot to aim for, or a Gamble Feature and Mini-Games to keep players entertained. But if all they are looking for is a relaxing time while they look for love across the screen then this online slots could be the perfect choice. 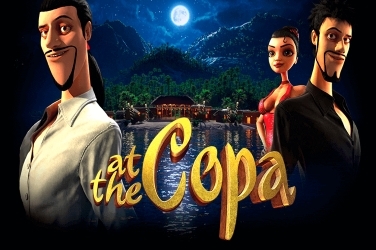 An additional feature that has been included in this slot games format is the Auto Play. This means that players can allow the reel to spin automatically. 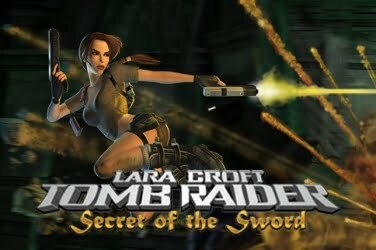 It is a useful element of the game for those who need to be away from the screen or simply prefer to be less interactive with the software. 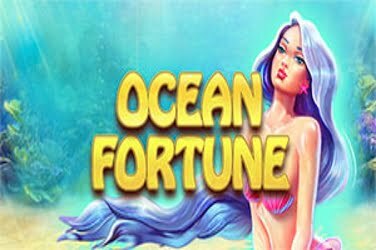 There are some high rollers and regulars to online casinos who may find this slots rather dull compared to others that are already available. However it could prove ideal for beginners and those who enjoy a slower paced game. Due for release on the 1st February 2017 players can expect to find delicately designed graphics and a smooth game for them to enjoy on any device. And even though the format may be rather simple there is still plenty of fun to be had in the Secret Romance slots game.